Your home is many things: a haven, a reflection of you, an investment. 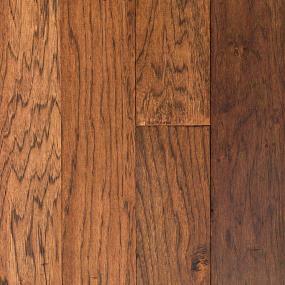 Wood floors are one of the best choices you can make to enrich and improve all of these. 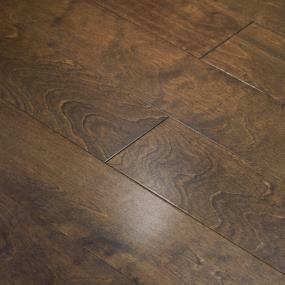 It’s no mistake that one of the most important choices to lay the groundwork for a gracious and comfortable home is your flooring, and Stonewood engineered hardwood is the perfect solid foundation on which to build a beautiful room. Hardwood is both trending and timeless because it enhances any style. Wood is rich, clean, healthy and elegant. The beauty of Stonewood engineered floors is that they are as smart and durable as they are beautiful, designed to be more stable than solid hardwood due to their cross-laminated construction. They are suitable for installing on slabs, and some can even be installed over radiant heat. With prefinished products, there is no guesswork. You’ll know exactly what you’re getting. Stonewood was built around a core of strength and integrity for a product you can stand on, and Stonewood can stand behind with engineered floors that have deep veneers. 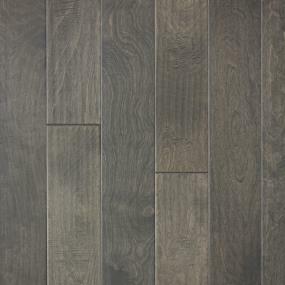 The building blocks of Stonewood floors offer colors, finishes, species and plank sizes in collections that make it easy to design virtually any style of home from the ground up—and even below, since engineered hardwood can be used below grade. Whether you’re looking for a feel that captures the timeworn magic of generations past, one that embraces the latest European trends, or one that simply makes you feel at home, Stonewood has you covered. With so many choices, how do you decide? You probably have a good idea of the color you want, but it’s the various finishes that cause the wood to reflect light differently in order to give it a unique feel—from sleek modern to timeworn traditional, gracious formal or cabin chic. Which finish, then, is exactly right for the space of your dreams? Engineered Wire Brushed. Wire brushing makes wood’s natural grain “pop” by scraping away some of the softer wood and allowing the harder grain to remain, thereby making the wood appear more three-dimensional. This enhances the wood’s own subtle texture and produces a more durable finish that helps to mask the imperfections caused by everyday living. Engineered Hand-scraped. This technique texturizes and distresses the wood to give it a rich, distinctive feel. The process gives the wood a slightly wavy texture resulting in a sculptural quality that is more forgiving of wear and tear caused by children and pets. If you’re looking for an aged or reclaimed look, this is for you. Engineered Skip Sawn. This technique leaves saw marks in the hardwood to give it an authentic, hand-cut feel and a unique texture. Often streaks will be visible perpendicular to the grain, adding a new dimension to the wood. Love the informal, rustic look of wood? This finish gives you just that—and hides small dents and scrapes that a busy lifestyle can bring. Engineered Smooth. Like it sounds, a smooth finish is not distressed in any way, but has a buffed appearance that often gives the wood a soft, natural glow. The pattern in the grain is allowed to speak for itself and often has an elegant sheen, especially when a darker stain is used. For a sleek, contemporary space, this finish is ideal. Handscraped w/HDF Core. HDF stands for high-density fiberboard. Most engineered planks are made by bonding a surface wood onto several thin layers of softer wood. An HDF core simply means that the core material is small wood particles compressed and mixed with a resin. Because this material is more stable than solid wood due to the variety in direction of the grains, it’s less prone to the expansion and contraction wood is known for when exposed to variations in humidity and temperature. A high-density core gives an even greater stability to the final product than the more traditional plywood. With so many choices available, even educated buyers can have a hard time choosing the perfect flooring for their space. Fortunately ProSource Wholesale® is there to help answer questions through every step. We want to make sure that when you set foot on your Stonewood floor, you’ll know you’ve not only made the best choice possible, your home puts your best foot forward in every way. Find your favorite Stonewood flooring and add the product images to the myProSource project center to share with your trade professional. Then stop by your local ProSource Showroom to check out all the beautiful options for building the foundation of your unique space.